If you only know three letters associated with cannabis, they’re probably T-H-C. But there’s another term on the rise: CBD. CBD, one of the more than 100 chemicals in cannabis, is emerging as a popular wellness ingredient. The plant extract, often consumed as an oil under the tongue, is now the featured ingredient in high-end products including coconut oil, body lotion, face serum, olive oil, jam, bath scrub, cold brew coffee, sports salve, lip balm, infused water, gummy snacks and dog treats. Products’ prices vary but may cost about triple what their CBD-less counterparts do. CBD is a non-psychoactive chemical compound — meaning it won’t alter a person’s mental state — that can come from two different cannabis plants: The hemp plant (with less than 0.3 percent THC present) or marijuana plant (where there’s much more psychoactive THC). CBD products tend to be derived from hemp. There are still plenty of unknowns when it comes to CBD. The FDA has only approved the use of CBD oil in specific cases of epilepsy. Epidiolex, the FDA-approved CBD drug, was placed in the “least restrictive” category of controlled substances by the Drug Enforcement Agency, meaning it’s in the same category with cough medicine Robitussin AC. Laws surrounding the sale of hemp CBD are murky at best; products made with the cannabinoid are not legal in all 50 states, though the oil is legal in more states than medicinal marijuana. Even in California, where recreational marijuana consumption is legal for adults 21 and older, there are complicated rules. And yet, even with new guidance on CBD use in food products in the state, the industry continues to grow. The FDA has approved of the use of CBD to treat Lennox-Gastaut syndrome and Dravet syndrome, two forms of epilepsy. So what’s the draw of the chemical compound for everyone else? Experts, including those with the World Health Organization, note that there’s some potential for treatment beyond epilepsy, but research isn’t as advanced. THC, meanwhile, helps with “pain relief, sleep and opening up the appetite,” Avetisyan says. He and his brother opened Topikal because they prefer treating their conditions — he has rheumatoid arthritis and his brother has anxiety — with just CBD. For them, THC induces paranoia. Dr. Leeta Jussila, a practitioner of Oriental medicine who specializes in cannabis, says that everyone’s system is different, so the way people absorb CBD differs. She recommends new users consult with healthcare providers and closely track how small doses of the chemical effect them. Marijuana research firm Greenwave Advisors anticipates that the CBD industry could reach $3 billion by 2021 and eventually well over $200 billion in the U.S., if the so-called Farm Bill legalizing hemp as a crop passes. Jonathan Eppers, creator of a CBD beverage company, sees the plant supplement as good for his wellbeing and good for business. CBD “gave me a purpose again in my life,” he said. After going through “debilitating anxiety” while stepping down as CEO from embattled rental housing startup RadPad about two years ago, he turned to CBD oil on the recommendation of a friend. He was wary of buying a product from a natural food store that, at the time, was kept in a locked box. 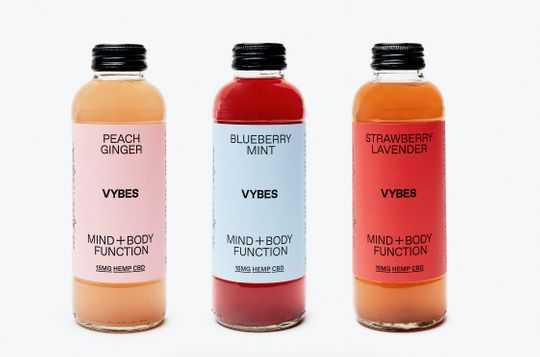 Excited to introduce others to CBD, Eppers watched market trends, talked to hemp farmers and decided to launch a brand-new company featuring his favorite chemical, drink brand Vybes. The California-based hemp CBD beverage went on the market this January. Eppers projects Vybes will produce 1-1.5 million bottles this year and already has hundreds of retailers selling drinks across the country. 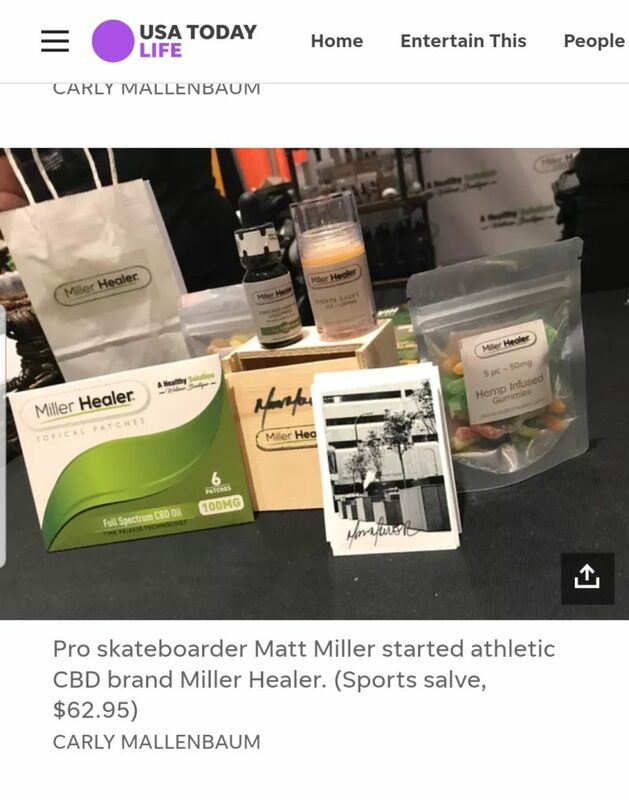 As Eppers has seen, the CBD foods market is quickly growing.